Help Desk Essentials Get a fast start to the modern help desk you need. See how service automation improves the help desk. Learn 5 ways to modernise your help desk operations. Are budget and time constraints holding you back from a new help desk? 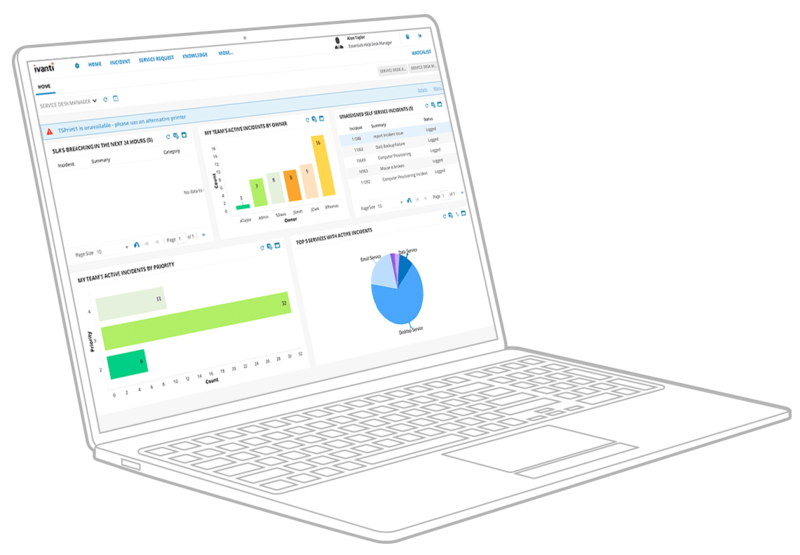 Then look at Ivanti Help Desk Essentials, a pre-built solution to quickly provide a proven ITSM solution without the cost and hassle. Best practises, content and workflows packaged with focused implementation services ensure you get going fast, delivered from the cloud at a cost that won’t break the bank. Proven solution, fast start, easy to use and budget friendly – why wait any longer? Built on Ivanti Service Manager, Essentials gives you a firm foundation to immediately improve your help desk. 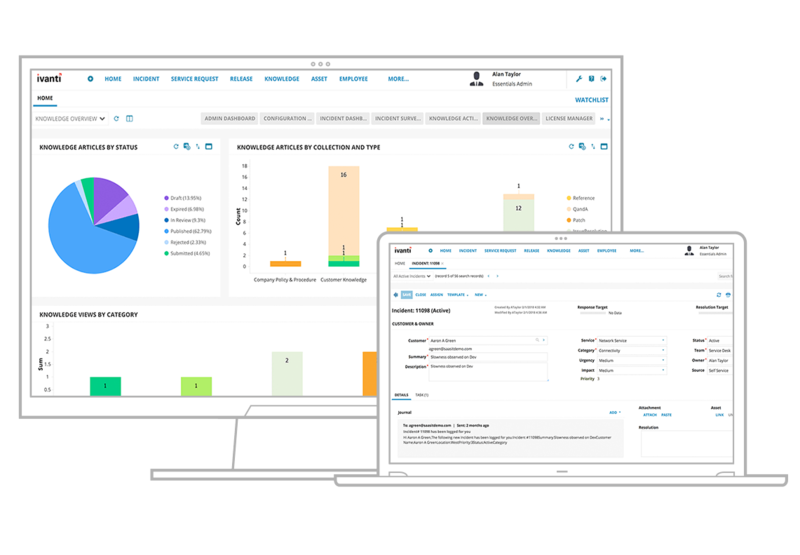 Pre-built with best practises so it’s ready to go, increase your team’s performance with proven incident management, knowledge sharing and engaging AI-powered self-service. No need to wait months for a new solution. You need a modern solution packaged with best practises that helps your team now. Don’t let scope creep push costs beyond your budget constraints. Keep costs under control with a solution focused on your needed core capabilities delivered from the cloud. Help your customers help themselves. Give your users self-service tools, including Ivanti’s AI-powered Hub, to expand your help desk’s reach 24x7 anywhere, anytime. Let the experts manage and update your application. No need to spend limited time and resources for maintenance or application updates that take away from providing great service. Automate incident processes to quickly resolve IT issues and restore critical services. Start quickly with proven practises, packaged and ready to go for your immediate use. Enable service owners to easily adapt, design and take control of their own processes. No programming needed, making it easy to tailor IT service automation going forward. Extend the reach of your help desk to mobile devices so staff and users are always connected. Provide your customers visibility and access to services so they can easily submit and track requests. Store and share group knowledge and information for both the help desk staff and your users. Modular offering on a modern platform ensures you have a proven growth path to meet new needs. Time to stop the firefighting. Just one click to start exploring your fastest and easiest path to a proven and modern help desk solution. Ready to learn how to get a fast start to less fire fighting? We’re ready to chat about your help desk challenges and answer your questions. Ready to take the next step? Our helpful experts are ready to help you select the best help desk solution for your IT and business needs.